Swami Isvaramayananda Saraswati, President, Chairman, and spiritual leader of the Sivananda School of Yoga, is a monk of the Holy Swami Order. He was ordained in 1988 by His Holiness Pujya Swami Chidanandaji Maharaj, World President of the Divine Life Society of India. Swami Isvaramayanandaji is an acknowledged expert in the mystical, philosophical and esoteric practices of Yoga. 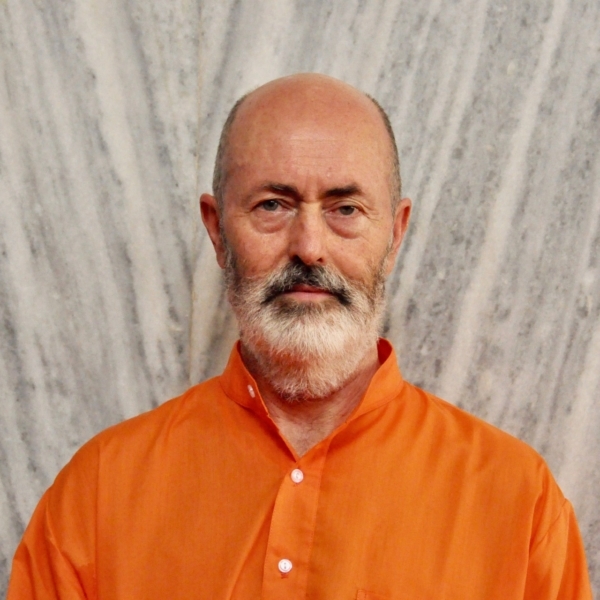 His Vedantic discourses are truly brilliant and unique, in that they render advanced spiritual concepts understandable to spiritual seekers of all levels. Swami Isvaramayanandaji presents Monday evening Philosophy of the Masters programme as well as a popular Hatha class on Tuesday evenings.